WHITE SPLATTER BLUE/CLEAR BLUE/BLACK/GREEN VINYL Guitarist Eddie Glass and drummer Ruben Romano formed Nebula in 1997 after breaking away from desert rock pioneers Fu Manchu, eventually recruiting bassist Mark Abshire. The power trio specializes in feedback-drenched heavy rock, incorporating liberal doses of Black Sabbath riffery, psychedelia, and space rock. The band released a number of EPs before moving onto full-length albums like 1999's 'To the Center' and 2001's 'Charged'. They've mainly distinguished themselves as a very hard-working live unit. 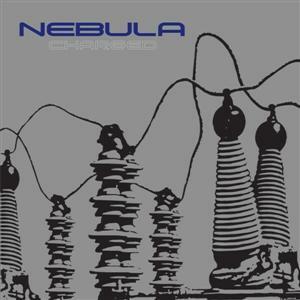 Nebula creates pure guitar-driven, conscious expanding rock for the 21st century. They are a culmination of their rock forbearers such as Jimi Hendrix, MC5, The Stooges and Mudhoney turned up a notch, taken to the next level and blasting through space. Nebula spread their gospel through their music and what they are preaching will leave the congregation on the floor. In 2017 the band decided to reissue three of their crucial early works via Heavy Psych Sounds Records: 1998's 'Let it Burn', 1999's 'To the Center' and 2002's 'Dos' EPs, which include the material originally released on 1999's 'Sun Creature' and the Nebula/Lowrider split. The reissues, which came out in early 2018, have been done to celebrate their 20th anniversary and re-union of the original band lineup. The reissue of 'Charged' as well as never published 'Demos & Outtakes '98 - 02' will perfectly round up the record collection by one of the most disctinctive heavy psych rock bands of all time.